I’ve created this “blog” mainly for my own use. Just as a place to store information relevant for my experiments with “displays, sensors, electronics, software and weather APis” for my weather station project. If, against all odds, someone else out there actually finds this “blog” useful, feel free to leave a comment in the comments field. Several years I’ve wanted to build my own weather station. I know that there are a lot of commercial weather stations available, a lot of weather applications on ipad, iphone, androids etc. I also know that designing my own will (probably) be more expensive that just buying one. However, designing my own gives me the chance to get exactly the look and feel I want, exactly the size I want, collecting exactly the data I want. And: It’s a perfect goal for experimenting with microcontrollers, sensors, wireless communication, displays, solar stuff, power, weather API’s etc. 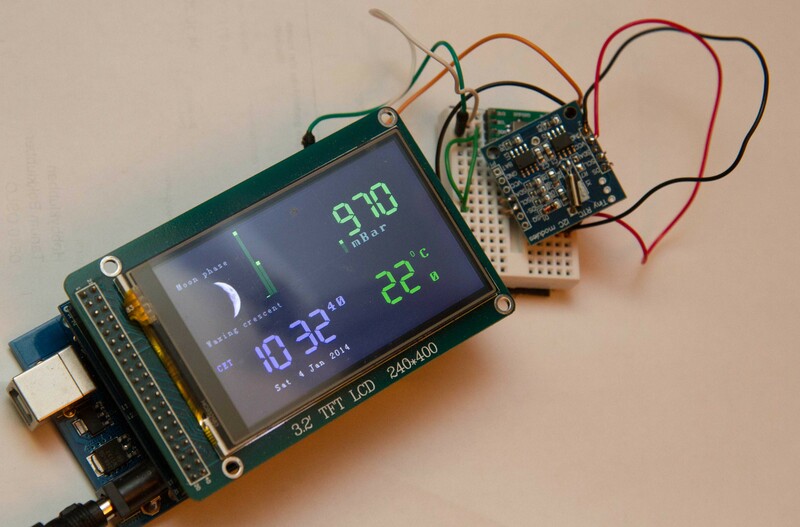 This blog was created after “finishing” prototype hardware and software that you can read about in the Prototype menu. You can read about future plans in the NextGen menu and their submenues. I’ll probably accept that it needs to be power by usb or something. Maybe solar/lipo is possible but it’s not the highest priority. Don’t expect the blog entries to be updated very often. The information under the menues and submenues are updated more often, but without any notice. Hi How far along are you with the next generation. I’v been wanting a weather stations too. I’d love to see wind , and wind direction as well as rain measurements…. But For now I’m at version 0.1 planning, haven’t event bought any bits. Let’s put it this way: the progress is very slow… But I haven’t given up! At least I think I have decided to go for 7″ capacitive touch display and FT81x display controller.